Becoming a collegiate athlete for her running abilities seemed out of reach for Madison Guscott. Then in the summer of 2011, the Capital High School incoming senior began to realize the possibility of participating in athletics at the college level was within her reach – or stride. Thanks to her talent, determination, and a little help from a recruiting website, Guscott chose to attend Pacific Lutheran University, where she just completed her first season on the Lute Cross Country team and will compete for the school’s track team in the spring. 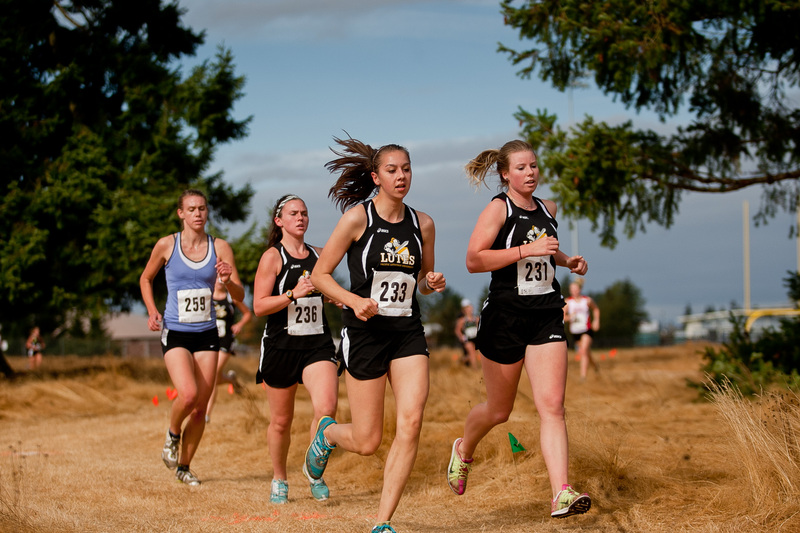 One of those coaches that swung Guscott towards the PLU campus was Heather Kreier, the head coach for the Lute’s women’s cross country team. Along with the coaching staff, Guscott appreciated the campus’ distance to her family and its renowned academics. 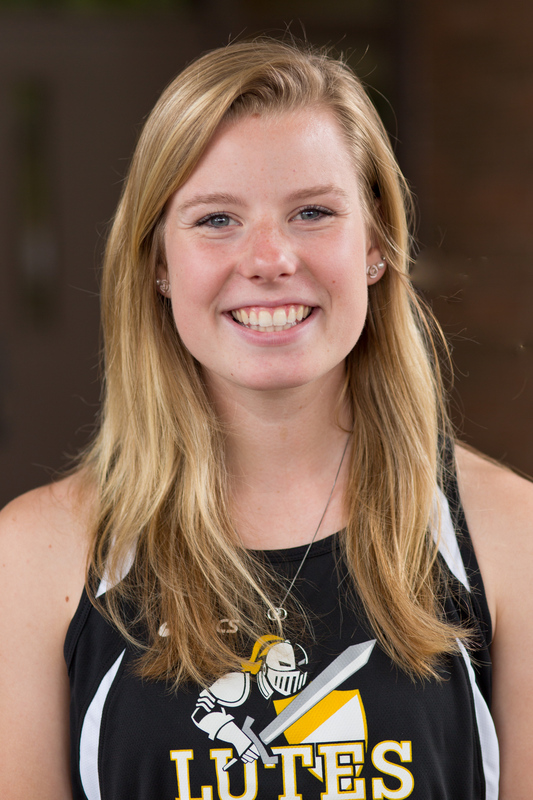 Competing in the 6,000 meter race throughout her first season, Guscott ran a 27:18.97 in her first collegiate race at the Whitman Invitational. As the season moved forward, Guscott’s times improved, something she credited towards getting familiar to the student-athlete lifestyle at the collegiate level. Guscott’s best time of the year came at the Sundodger Invitational, where she posted a time of 26.11.92. 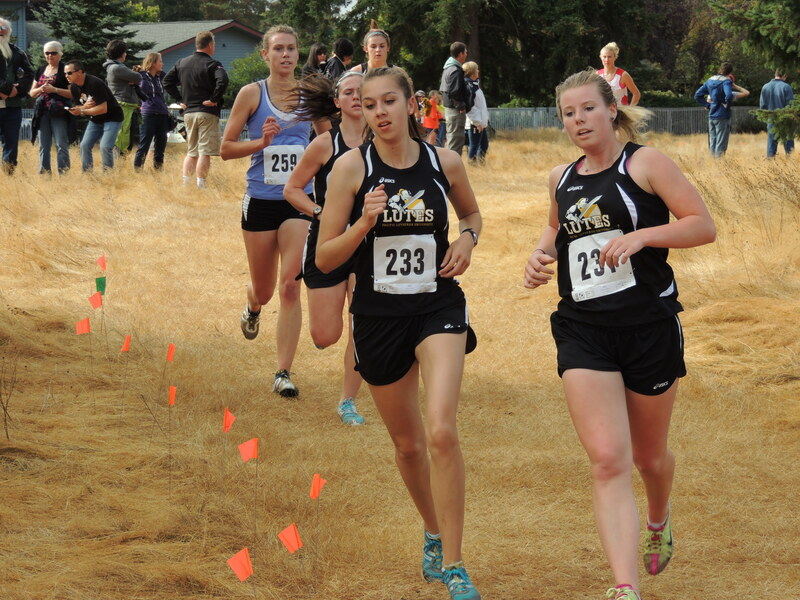 However, she points to the Lewis and Clark Invitational, where she ran a 26.22.74, as her best race of the season. That quest for a runner’s high has been passed down to Guscott from her parents. Guscott and her family moved to the Olympia area from Spanaway the summer before her freshmen year. When initially trying out the sport she would one day excel in, Guscott rebelled against her parent’s best wishes. Now that the cross country season is over, Guscott will focus on track and field, where she will run for the Lutes outdoor team in the 400 meters. The multi-talented runner says training for both distance and sprint events helps her excel in the other. With almost a decade of organized distance running under her belt, Guscott has created a strong running base thanks in large part to some long runs around Olympia, and her time on the CHS cross country team under Coach Kevin Wright. This past season the Cougars placed third at the 2A State Championship meet, the first time on the podium for a CHS team coached by Wright. Guscott was happy for her old coach and teammate, and still reminisces about her old running routes in Olympia. Guscott’s move to collegiate athletics has brought about more challenges and tougher competition, but she appreciates the dedication and responsibility required to be a student athlete at PLU.